The news about Pinterest has always been good and recent reports have been more of the same. On Christmas Day, Pinterest-referred consumers greatly outspent Facebook-referred consumers in average spending per customer. According to ShareThis, Pinterest was the fastest growing sharing channel in 2013. The growing number of people on Pinterest has also meant an increase in the amount content being shared on the network. Marketers can take their Pinterest strategy to next level with rich media pins. This post will show five ways to use rich pins to improve your Pinterest marketing. Article Pins – Bloggers can increase the reach of their content by using Article Pins, which include headline, author, and story description information to help users find and save stories that matter to them and that they want to share with others. Major news organizations like the New York Times, the Economist, and the New York Observer use Article Pins to boost their online readership. Product Pins – For retailers, Product Pins can make it easier for Pinterest users to learn about available products and to make purchases. Product pins include real time pricing information, item availability, and locations where the item can be bought. Product Pins are being adopted by large companies like Target down to the small dealers of Etsy. 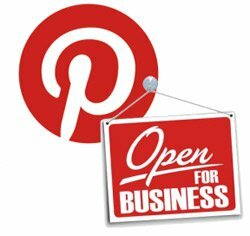 Place Pins – Pinterest is a good place to post photos of a business or attraction and Place Pins allows marketers to include information like a map, address, and phone number on every image. Place Pins are an effective way to get people interested in a venue or location. There is even a board on Pinterest devoted to these pins that let users search for pins on a globe. Recipe Pins – Recipe Pins let the user put the ingredients and instructions along with image of the food. These pins include ingredients, cooking times, and serving info to get people who are excited at the food image to hit the store and the kitchen. These pins are useful for chefs and food blogs, but they are also good for individual food producers. Beef retailers can include recipes that give people new incentives to pick up a pound of beef for dinner. The delicious eats board on Pinterest already has more than 130,000 followers who are looking for these recipes. Movie Pins – Pinterest also has Movie Pins which include ratings, cast members, and reviews to spread the word about new flicks. Though the feature is often used by large organizations like Netflix, Flixster, and Rotten Tomatoes, there is clearly a value for independent film producers who want to increase awareness about their past and future projects. Using rich media pins has several advantages. Rich media pins are auto-updating. This means that when data on the website the pin is linked to changes, the information changes on the pin as well. For example, price information would automatically change on product pages and if a movie’s venue was changed on the site, a rich media movie pin wouldn’t need to be updated. There is also a clear branding benefit to using rich pins. The additional information on the main image make the content more noticeable to people browsing Pinterest and in a user’s home feed, rich pins will include the name of the business as well as its logo underneath the image. The one disadvantage of using rich pins is that it takes some adjustments to a website to make it work. In order for the information to be taken directly from a website, the site has to be properly setup with meta tags. 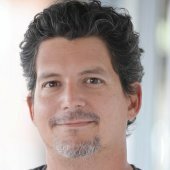 It may be something you need a developer to help set up if you aren’t familiar with meta tags.Though it may take some extra work, rich pins are worth the effort. Making it easier for searchers to find information directly from a pin on Pinterest will boost public awareness and revenue for a brand.